Whether your teen is looking for a stand-alone strength and conditioning program, or additional training to supplement their sport specific training, CFE Teens is committed to helping them achieve their goals in a fun, judgment free environment surrounded by peers. We aim to create an excitement about exercising, by keeping things fun & focusing on achievement. We also encourage healthy eating habits by pointing out how good nutrition helps us become better athletes & stronger CrossFitters! The program combines age-appropriate weightlifting and gymnastics with high intensity training to deliver optimal fitness and performance, as well as establish a lifetime love of fitness. Proper weightlifting techniques are taught, under the watchful eye of our CrossFit certified trainers, to enhance strength and power, while also focusing on basic gymnastics to increase agility, mobility and flexibility. In addition, we aim to boost self-esteem and confidence within our teens. We want to give them the strength, both physically and mentally, to tackle any obstacle thrown their way inside or out of the gym. With workouts that are scalable for all individuals, this program can equally benefit both the accomplished athlete as well as the less active individual. CrossFit not only teaches one how to work out, it teaches one the essence of focus, perseverance, dedication, and motivation. Our teen program makes kids healthy and fit. It not only builds strength in the body but it also strengthens the mind. 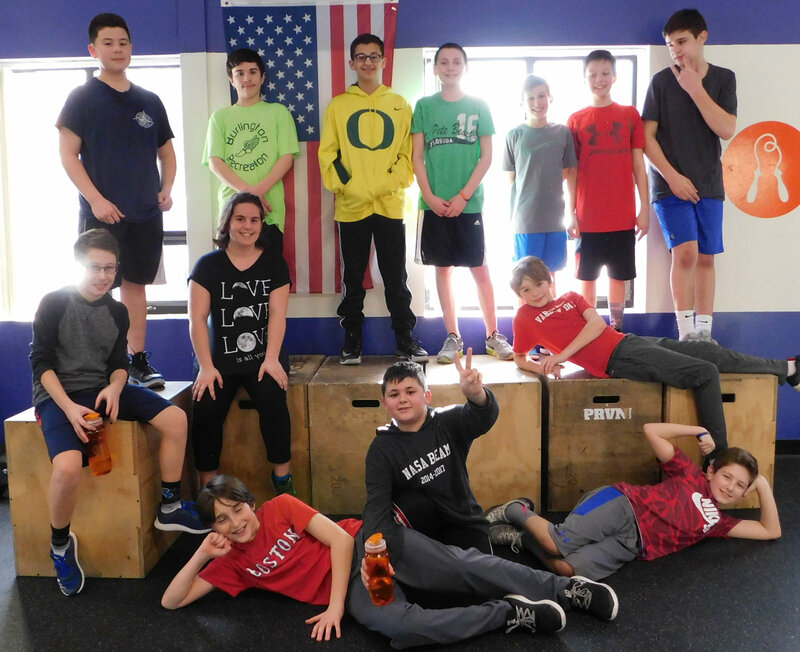 Whether your teen is looking for a stand-alone strength and conditioning program, or additional training to supplement their sport specific training, CFE Teens is committed to helping them achieve their goals in a fun, judgment free environment surrounded by peers. CrossFit Teen Strength & Conditioning classes are held on Tuesdays & Thursdays at 4:00 PM. Please contact us at 781.272.2900 or [email protected] to reserve your spot or for more information. CrossFit Exclamation is a registered CrossFit Kids facility. This means we are licensed & qualified to coach all CrossFit Kids & CrossFit Teens programs from 3–17 yrs. Work out with your friends, have fun, and stay fit with our 4-week Teen Strength and Conditioning special programs for ages 12-17. Teen Strength and Conditioning classes are held Tuesdays and Thursdays at 4:00.